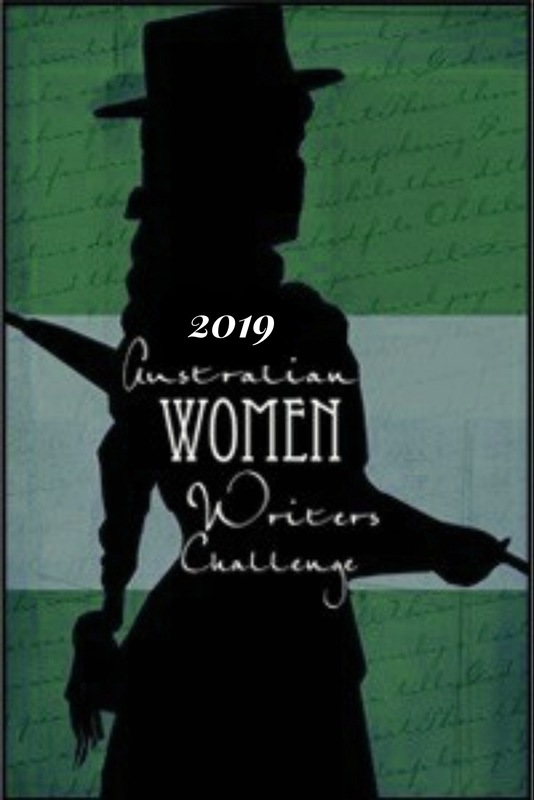 There have been 45 posts added to the Challenge’s database in the crime & mystery category since the June roundup and there’s something for everyone amid the collection of thrillers, historical mysteries, psychological suspense tales and the odd cosy novel. Jay Peace subtly weaves important lessons into this narrative when she chooses a cop as the victim of this crime; consciously or unconsciously her voice is saying “this could happen to you, if it can happen to a cop it can happen to anyone.” She is saying don’t blame the victim, it is not her fault she was targeted, blame the perpetrator. What I enjoyed most of all though was the quick-thinking and problem-solving skills displayed by the victim Sammi. 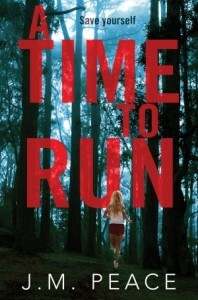 A police officer herself, Sammi is horrified to find herself drugged and kidnapped, but doesn’t panic. Instead, she switches on her ‘cop senses’ and does everything she can think of to stay alive. I found A Time to Run to be very realistic. I like that the ending isn’t all rosy, that such a horrific event will affect a person’s functions terribly and that the law isn’t perfect. I think the author has been very successful in being very convincing through multiple perspectives despite their varied backgrounds and very different intents. Overall, a terrific debut that will leave you wanting more. Thankfully, Peace is working on a sequel…or two! Women escaping domestic violence often struggle to have their story believed, and I read a lot of crime novels that play with the idea of the woman being an ‘unreliable narrator’ (I’m looking at you, Gone Girl). But reading Stay With Me, I was never in any doubt that Tess was telling the truth. Her paranoia and panic attacks only added to the authenticity of her voice. With a Royal Commission into Family Violence currently underway in Victoria, Stay With Me may help shed light on the phenomena behind the news headlines, such as why women in abusive relationships don’t ‘just leave’, and why women should not be treated as unreliable narrators in their own experience of violence. That said, there is nothing preachy about this novel. 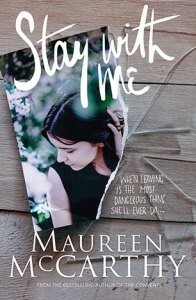 Maureen McCarthy shows the brutal reality of family violence in the context of an absolutely thrilling read, with a cast of characters I could really care about. Highly recommended. While it might seem that a lot of this series is about the desperate need for early feminism and emancipation of women, that message is conveyed by the actions, the situations and the comments of the characters. It’s not as heavy-handed as it could seem from this review, nor is it possible to avoid acknowledging the dreadful situations that many intelligent and capable women found themselves in. It’s also obvious that the men who supported, loved and cared for them are equally disrespected, confined and disempowered. …what the Dody McCleland series does so masterfully is provide glimpses into the lesser-known crimes: the mutilation and incarceration of women for no good reason; the desperation of some whose causes should have been seen as just and right; and the way the overt use of power by a few scared, sad, but powerful individuals can actually obscure reality from all but a few particularly observant individuals. 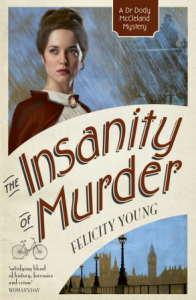 The final twist in The Insanity of Murder illustrates that point exactly and, as a bonus, it comes as somewhat of a surprise. 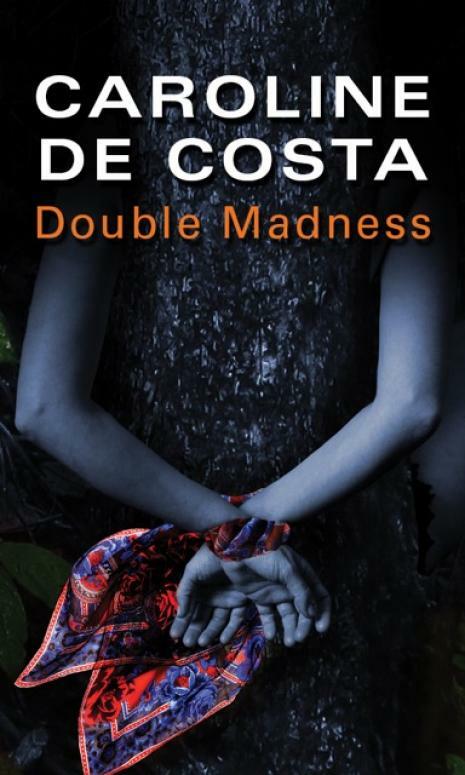 De Costa’s title comes from the French Folie à deux, a psychiatric term meaning shared psychosis (or double madness) in its simplest sense. 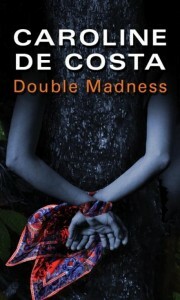 It’s not a condition I was familiar with prior to reading Double Madness and I welcomed the insight. 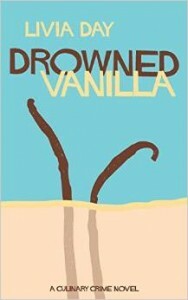 Without spoiling things, the novel explores the condition in a clever manner that unfolds to a dramatic climax. The story moves at a good pace and is backed by a matter-of-fact writing style that conveys the unvarnished details while still creating an authentic sense of place. The sequel to Tasmanian cosy mystery A Trifle Dead, this is the same cheerful, frothy fun – I was given a copy for my birthday and it was exactly what I needed. Tabitha Darling is vibrant, irrepressible and just the right amount of grumpy. The story is very light and playful overall but has an edge of seriousness when necessary. Good write-up Bernadette. I was particularly interested to read about new author Jay Pearce. if I were into crime, I’d be there. I like Carol’s review suggesting her point is to blame the perpetrator!